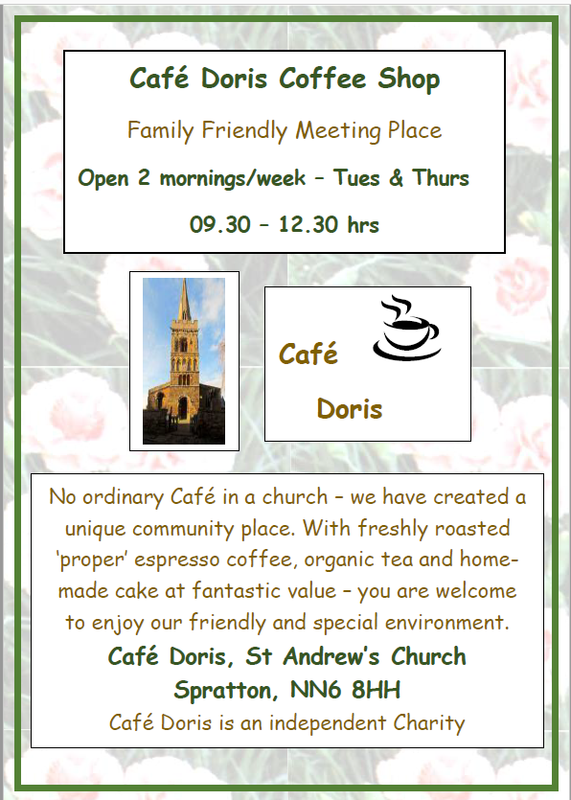 Cafe Doris is an independently run cafe operating in the church of St Andrew in Spratton. The initiative began in summer 2013 and is currently open two mornings a week. 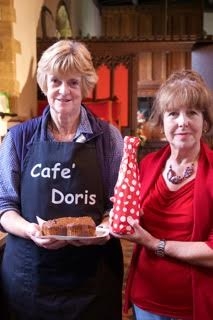 So successful has cafe Doris been that investment in resources has been made back and the cafe now provides a generous source of revenue for the church. The scheme has featured on the Diocese of Peterborough's website (see attachment below) and is now a well-established part of the community. Why not pop in and experience the great coffee and home made cakes on offer. A friendly welcome awaits all from our team of dedicated volunteers. Opening hours: 09.30 - 12.30, Tuesdays and Thursdays.